Insiders have spilled the beans on the actress's upcoming big day - and it sounds amazing! Kate Bosworth and fiancé Michael Polish are ‘finally going to tie the knot this month,’ according to new reports. It’s thought the couple plan to marry in a country-style ceremony at the end of August, although the location of their big day has yet to be revealed. Love weddings? Here are the most beautiful celeb nuptials EVER! The New York post reports the couple will follow in Blake Lively and Ryan Reynolds’ footsteps, with photos from their big day featuring in Martha Stewart Weddings magazine. Reps for the pair are yet to comment. Earlier this year, Kate Bosworth revealed in an interview that her wedding ‘would not be the norm’. ‘I can give you one detail: it’s not the norm and whisky will be involved,’ she spilled. 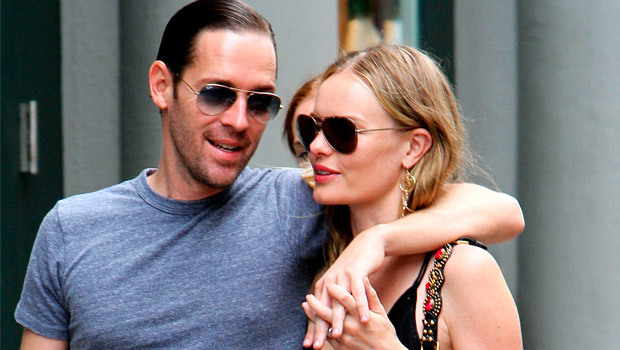 Kate Bosworth and Michael Polish met on the set of upcoming flick Big Sur last year. Pretty starlet Kate was first snapped with her new beau in August as they attended a Coldplay concert in California – just one week after it her split from True Blood star Alexander Skarsgard was revealed.